Arthur Alexander Davidson was one of the many soldiers from the Durham Light Infantry (DLI) who were killed during the Battle of Arras. He was born in Dalkeith, Midlothian but his parents were both Geordies, born in Newcastle – and by 1911 the family had returned to the North East, living at 66 Armstrong Terrace, South Shields. Lance Corporal Arthur A. Davidson joined up in West Hartlepool on 21 September 1914. He then started training at Cocken Hall on 2 October 1914. He was appointed unpaid lance corporal on 28 August 1916 and was received the pay for that promotion from 1 February 1917. Along with the rest of 18th Battalion Durham Light Infantry, Arthur was shipped to Egypt after his initial training and then onto France in March 1916. His army service record states that he received a wound in his right leg on 5 July 1916, during the first week of the Battle of the Somme. He also reported to 29th Casualty Clearing Station on 10 February 1917 with bronchitis. He was deemed to be fit to return to duty on 16 February. Arthur Davidson was killed in action at Arras on 18 May 1917. 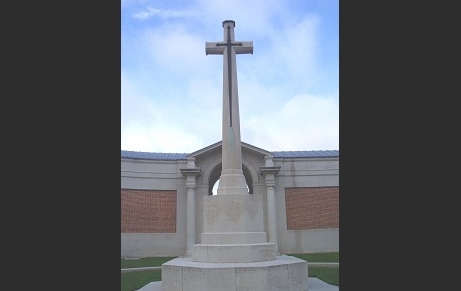 He was awarded the British War Medal; the Victory Medal and the 1914 -15 Star and is remembered at the Arras Memorial.